Who has ever been in this situation? You prepared your presentation meticulously. You know what you want to say, and then this happens? “Woah, what was I just saying there? That wasn’t what I was suppose to say? okay okay, relax, focus…” . All the while you stumble through what you were planning to say, talking an hundred miles an hour. It’s isn’t what you are saying, it’s how you say it. You used a lot of ‘fillers’, with that I mean filler sounds, filler words and filler phrases. All three variations of fillers are used in that one sentence above. Can you spot them? The filler sounds were the infamous ‘ums’ and ‘ahs’. The filler words were ‘really’, ‘kinda’ and ‘basically’. And finally the filler phrase, it was just one small one; ’ya know’. Fillers do not add anything to a presentation. They can even confuse an audience, and unsettle the speaker. So why do we do it? As a result of our nerves we often speak too fast. That’s when we use fillers. What happens is it that our brain is trying to catch up with what we say. The time it takes us to process what we say leaves a gap, a space in our speech, and we try to fill that space. And the reason we fill the space is that we think we need to keep on talking to keep the attention of the audience. Now that’s an important point, we think we need to keep on talking for the audience. While we forget that the audience also needs to process what we say. Realising that will not only help us eliminating the fillers we use. It will also add something powerful to our public speaking toolbox. That is the power of the pause. It’s one of the most powerful tools you can use in your public speaking. It enables your audience to process what you’ve been saying, to make your point. It also makes you calmer and more confident as a speaker. I believe everyone can be a master of pause. Imagine a big explosion as you climb through 3,000 ft. Imagine a plane full of smoke. Imagine an engine going clack, clack, clack. It sounds scary. Well, I had a unique seat that day. I was sitting in 1D. […] Two minutes later, three things happened at the same time. The pilot lines up the plane with the Hudson River. That’s usually not the route. He turns off the engines. Now, imagine being in a plane with no sound. And then he says three words. The most unemotional three words I’ve ever heard. He says, “Brace for impact.” I didn’t have to talk to the flight attendant anymore. I could see in her eyes, it was terror. Life was over. Can you spot the pauses? There are quite a few pauses. In the excerpt alone we can add pauses for various reasons. We can add a pause if we want to emphasise something. Like right after “Brace for impact.” – to let the words really land (pun intended!). We can use a pause before a punchline so that’s actually before “Brace for impact.”. Or we can use a dramatic pause. For instance right after “I was sitting in 1D.”. We can really play with these pauses and in the process of doing so, eliminate the fillers. Once we know where to put our pauses we can practice it. To practice this for your own presentations you might want to consider this. 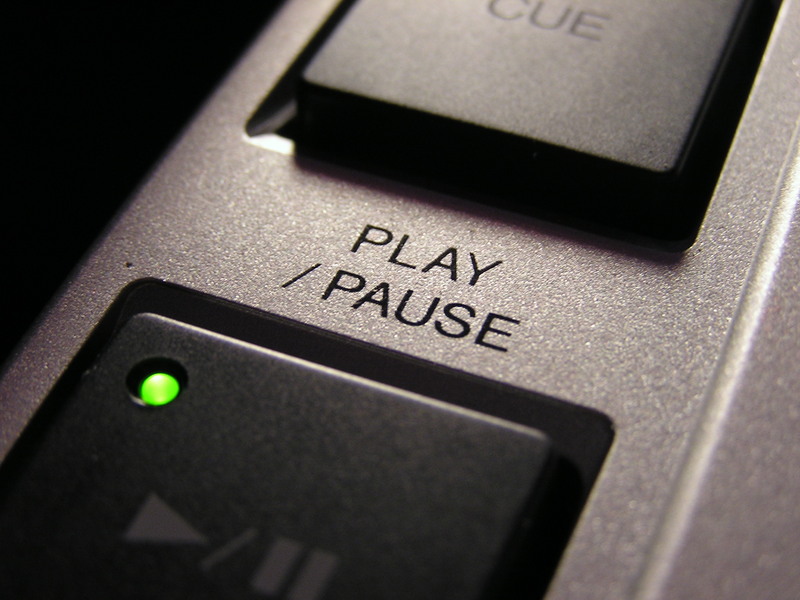 When you first try using pauses, say in your head ‘period’ in the place of the pause (please only in your head). This way you get used to the pause, and even get comfortable with it, until you eventually begin to master it. So next time your brain is trying to catch up with what you say, and you feel the fillers coming up fast, remember to pause. Not just for you, but certainly also for your audience. This 20-minutes session is a non-obligation, complimentary session that gives us an opportunity to get to know each other, build rapport, set expectations for working together and decide on next steps. Last month I was asked for an interview for the Life Coach Directory, one of the biggest online directories listing qualified or registered life coaches in the UK and Northern Ireland. In this interview I spoke about how to communicate confidently as an introvert and/or HSP (Highly Sensitive Persons). You can find the interview HERE. When: 7th November 2017, 7pm. I’m excited to announce my workshop for HSPs about how to speak confidently and uuthentically. In this interactive workshop we focus on what in fact does make us natural speakers. How we pick up on the subtleties in a room. How we prepare our presentations meticulously. And how we want to add value. Come and join me for this workshop, which is the first of its kind! At university I used to give around three or four presentations a year. I always wanted to give my presentations at the start of the semester, before everyone else. Not because I was so brave – I was just trying to outsmart my fellow students. You see I thought if I speak first than they can’t compare me yet with the other speakers. I don’t have to feel unsure about them being better. And, because I’m first, they might think I’m brave to do so and they won’t be that critical. Clever, isn’t it? Well not really, for a start it’s negative approach. I’m not good enough. Sometimes I wish that I had filmed these presentations, because I’m sure now that it wasn’t so bad then. It took me nearly ten years before I had the courage to ask someone to film me during a presentation. I must admit I could only watch the video after two weeks or so, with the sound off! I couldn’t stand my own voice! So why did I do it? I did it because I wanted to improve. And I wanted a different perspective. I highly value the feedback I get from my audience, and I wanted more. I wanted to see what the audience was seeing and hearing. I wanted to understand why certain things I said appealed to the audience – and other things didn’t. 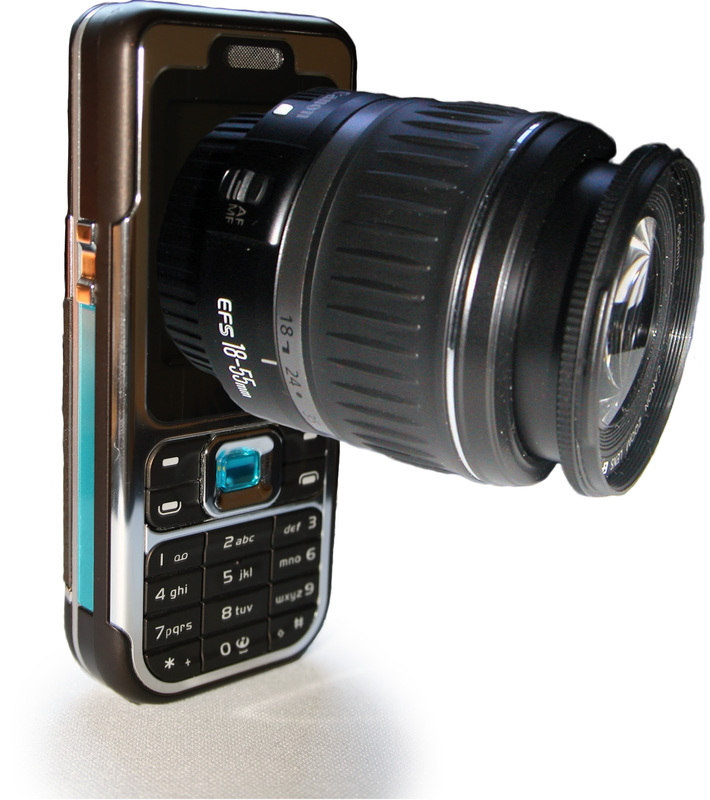 One of the beautiful aspects of modern technology is that nearly everyone carries a camera these days. It’s so easy to ask someone to film you when you’re presenting. And once you’re over your first initial resistance and see more of your presentations you will note the differences, the changes, and your progress as speaker. Nowadays, I’m not bothered at all when my presentations are filmed. It has learnt me so much about how I’m perceived when I present. No need for clever tricks anymore. So are you ready? Lights, camera, action! 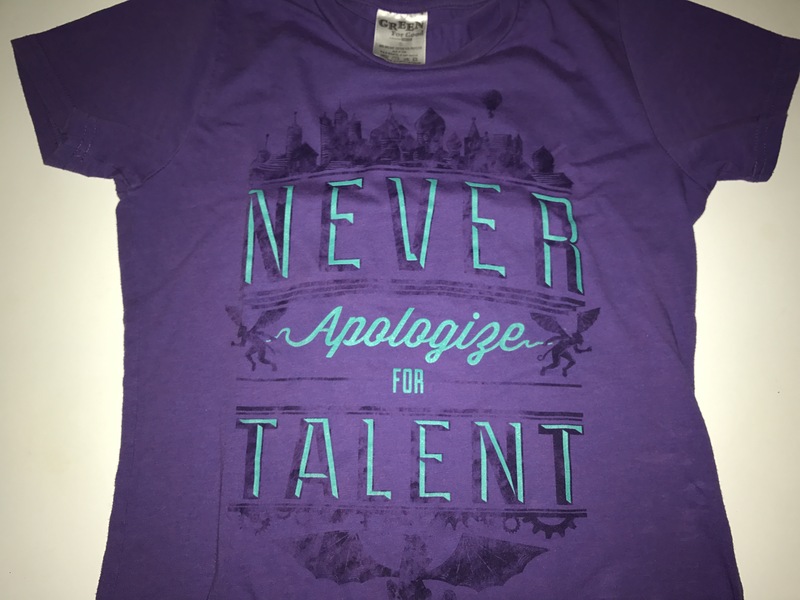 “Never apologize for talent!” Madame Morrible exclaims to Elphaba in Wicked. Wicked is a musical and prequel to the Wizard of Oz. It is about the profound friendship between Glinda (later known as ‘The Good Witch’) and Elphaba (later known as ‘The Wicked Witch of the West’). They met at Shiz University. There, in front of the headmistress Madame Morrible, Ephaba’s frustration about not being with her sister, manifests itself physically in an explosion. Elphaba apologises, but Madame Morrible wants to hear nothing of it (‘Never apologize…!’). She decides to teach Elphaba sorcery, and so the story began. Never apologise for talent. It reminds me of one of the best advices I ever received about giving presentations and about being confident ‘on stage’. Don’t apologise when you’re presenting. Period. Why? Because you command the stage. I mean that not in an arrogant way, but in a confident manner. Note the subtle but distinct difference. You learn three things when you don’t apologise. First it’s a practice in how to continue calmly and with confidence after a ‘mistake’. Secondly you learn how to keep the momentum. Apologising is always disrupting the story you’re telling. It undermines the authority you have on stage. And last but not least you will realise when you carry on like nothing happened – that the audience usually don’t even notice that you made a ‘mistake’! So why even worry? Let me encourage you not to say sorry, but to be bold, confident and sparkling when you’re presenting! Recently I read an inspiring book about Eleanor Roosevelt. She is best known as the First Lady of the United States in the 1930s and 1940s. She was also a human rights activist who played an important role in the creation of the Universal Declaration of Human Rights. But that wasn’t all – the list is almost endless. She wrote columns. She was a teacher at a school for girls. She chaired many committees on women’s rights. And she was a much respected public speaker. By her own admission public speaking was a skill she had to learn. Particularly after her husband, Franklin D Roosevelt, contracted polio and was paralysed from his waist. As a result she often had to make public appearances on his behalf. Unfortunately few of her public appearances and speeches were filmed. You can only find little bits and pieces on YouTube, like an interview with Frank Sinatra. What struck me when I was watching those clips was her warm and endearing smile. How was this important for her public appearances and speeches? And what can we learn from this when we present? It’s often said that the eyes are the mirror to the soul. But I believe a smile plays an equally important part, a genuine smile that is. By smiling, you seem relaxed and confident. It shows your listeners that you are pleased to have the opportunity to share your ideas with them. And that you are interested in them. 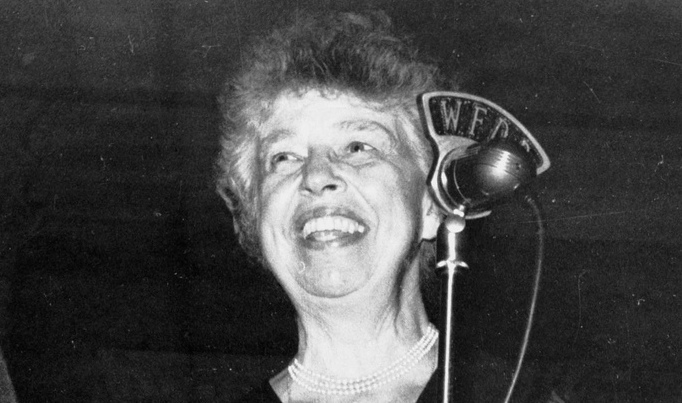 Eleanor Roosevelt’s genuine smile made her such an endearing speaker. It gave a personal touch to the many valuable lessons she shared with us. Of course it’s that genuine bit that is the crucial part. And that also applies to us as speakers. Apart from a clear message and a killer structure another crucial part of Public Speaking is the appearance. It’s the body language, facial expressions, gestures. Contrary to what most people think it’s not about getting it right. Instead it’s about getting it right for you. It has to be a natural by-product of the unique thoughts and feelings you’re expressing. For instance I’m very energetic on stage, particularly with my arms. Rather than curtailing it – I use this purposefully as an asset for my presentations. Eleanor did this with her smile, but what makes you unique? And how can you use your personal touch as an asset during your presentations? What is so comfortable about your comfort zone? Back in 2011 I joined a Toastmasters* club in London to improve my public speaking skills. One of the key principles of any public Toastmasters club is that guests are always welcome. And at every meeting we have a lot of guests. And one of the things I often hear our guests say is that public speaking is ‘out of their comfort zone’. Now I’m a bit uncomfortable with that term ‘comfort zone’. It implies to me a place that makes you feel good, or relaxed, or happy? Like taking a bath, a get together with friends or a good gym session (that last bit could be just me…). To me ‘comfort’ in combination with ‘zone’ feels confined and restricted. Recently I was reading an anecdote about a woman who decided to clean her fishbowl. She filled her bath tub with water and placed her fish in tub. After she cleaned the bowl she returned to the tub. She noticed that her fish were swimming in the same little circle as if they were still in the fishbowl. Because that was their comfort zone, right? What they were familiar with, what they knew. 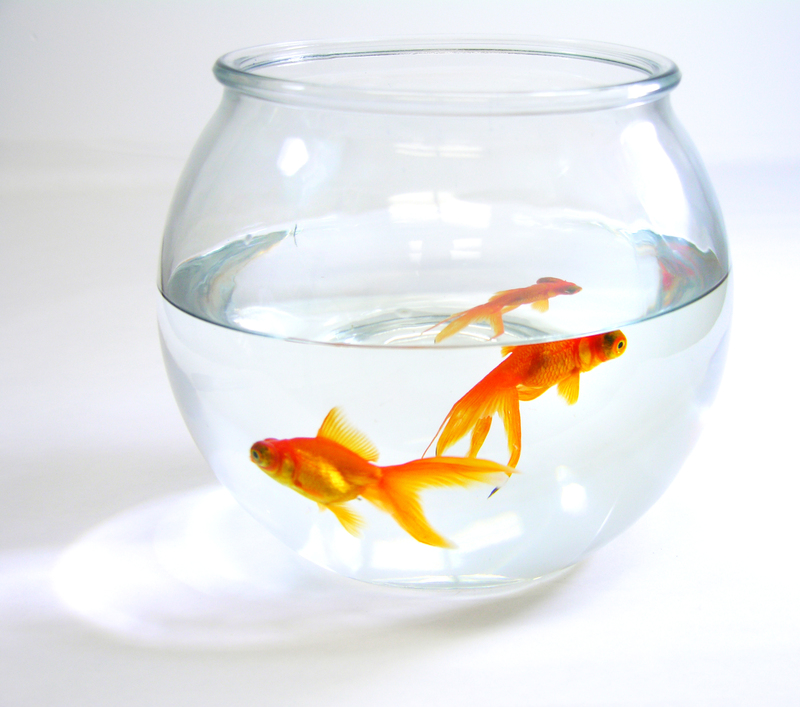 Apart from the fact you shouldn’t keep fish in a small fishbowl, we should not keep going in that little circle. We should not limit ourselves and stay in, what I like to call, our discomfort zone. In fact that zone beyond is our true comfort zone. The place where we can shine, progress and move forward, with little steps, or bigger steps. Think about it; every time you venture outside your familiar zone, how does it feel? Apart from a little unease at the beginning, but that’s just that, a little unease, your old limitations clinging onto you shouting “Don’t leave me!”. If you are really honest, it feels quite good so outside these imaginary boundaries. Perhaps it even feels exciting or free? That’s what happens if you get out of your discomfort zone. When you decide to get out of your fishbowl and swim in the full tub of your potentials! 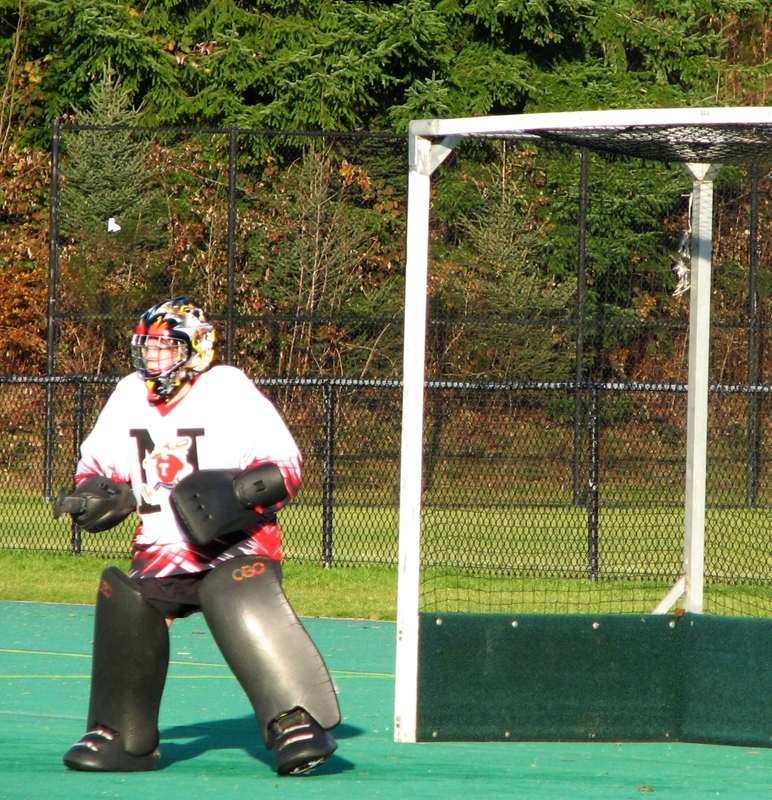 Many moons ago I was a goalkeeper in field hockey. I wore extensive protective gear, like a helmet, foamed leg guards, and big gloves. I wasn’t too bad. As any keeper I had my strengths and weaknesses. A particular strength of mine was stopping the ball with my stick. Either I stopped the ball with my stick and kicked it away, or I redirected the ball with my stick. But my major weakness were the soft balls, the balls that came at low speed and should be o so easy to stop …. Not so. My impatience could not handle this, I couldn’t focus… That was the ‘weakness’ so to speak, not the soft balls. Those easy balls weren’t important enough, until I missed one. But of course it did matter. It affected my confidence not only with every soft ball I missed, but also the ones I clumsy managed to stop. The same is true for your next presentation. If you arrive last minute, rush in as you’re running late and start straight away you could probably manage. But would you feel relaxed? If you don’t spend a little extra care on your power point slides and during your presentation you notice they are not in the good order, you would probably manage. But would you feel comfortable? If you don’t check if your mic is working before your presentation and as soon as you start you notice something is wrong, you would probably manage. You can make a joke with the AV technician on site, and even share a laugh with your audience. Silly me! But would you feel at the top of your game from the start? Question is do you want to be able to manage, or do you want to be your best self and sparkle? If you want to be your best self, than these little things, these easy things, do matter. Perhaps it doesn’t matter for the audience, who might not even notice your ‘mistakes’ most of the time. But it certainly matters for yourself, because you do notice them. The funny thing is if you take care of these little things, if you stop the soft balls, you will feel more confident sharing your message. And then you will make the bigger saves! How will you be your best self for your next presentation?